Season two of ‘Barry’ feels like a gloomy prospect. The show is done by episode eight, the story told, the point hammered home. Unfortunately, HBO likely senses a cult hit and has renewed it. Not that long ago, I taught scriptwriting for a number of years. Like aura-reading psychics and Chinese hacking software, writing teachers begin to sense patterns after being hit over the head with something enough times. Here, it’s the “[blank] who is also a hit man” theme. Blank might be “janitor.” Blank could be “psychiatrist.” “Baker.” “Florist.” Blank can even be “hit man.” There’s actually a mystery series about a guy who is a normal, everyday contract killer by day, but who is a hit man of other hit men by night. 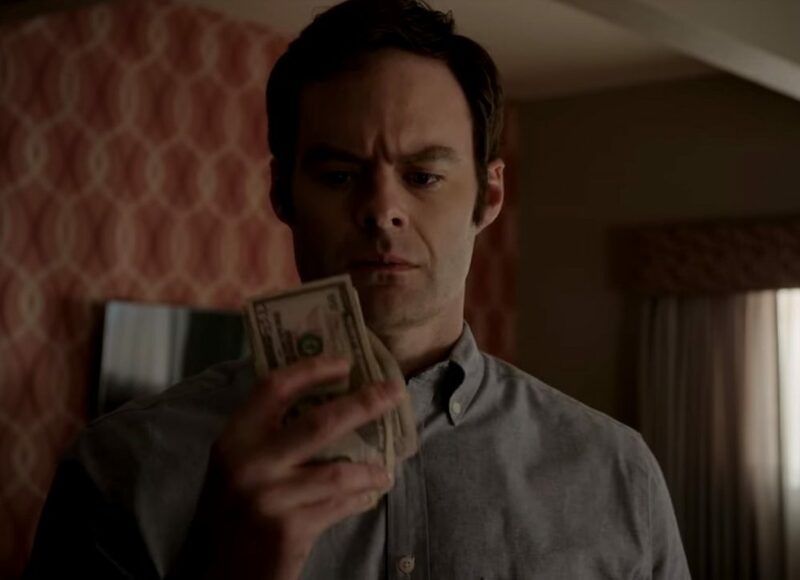 So, lo and behold, it is not a surprise to see “Saturday Night Live” alum Bill Hader as co-creator and star of HBO’s deliberately bizarre comedy series, “Barry.” He plays Barry Berkman. Barry’s an actor. Who’s also a hit man. Sigh. Okay, it’s played for laughs, sort of, and Hader has a nice touch for the absurd—he often seems a low-res, android version of “Saturday Night Live” founding cast member Dan Ackroyd. Hader also physically resembles Aykroyd, and shares (or mimics) many of his mannerisms. Perhaps as a result, Hader’s show taps into a vein of Ackroydian weirdness, and turns out to be a mostly charming confection, even if it ultimately fails to be as funny as it thinks it is. There are a few genuine moments of emotional resonance along the way. But the show is done by episode eight, the story told, the point hammered home. Unfortunately, HBO likely senses a cult hit and has renewed it. Season two of “Barry” feels like a gloomy prospect. Hader’s Barry is a former Marine, a veteran of Afghanistan, where it’s implied he was hip-deep in the hard stuff. He returns an emotional wreck with no living family. He’s preyed upon by his handler, Monroe Fuches (played by Stephen Root), who pulls Barry out of his doldrums by setting him up with contract hits of people Fuches assures him are “bad guys.” Not even Barry really believes this. It turns out that, in murder, Barry is skilled and remorseless in the thick of things, even though he gets terribly irritated at the chaotic circumstances surrounding his trade. Barry senses that something is wrong—that thing being the fact that he has a smoking cinder for a soul. After he stumbles upon an acting class while snuggling up to a mark in Los Angeles, he realizes he may have finally found something that fills the void inside better than a righteous double tap. The rest of the season is an extended take on Barry trying to extricate himself from his unsavory past, from the Chechen, then the Bolivian mob, and from Fuches, his handler. Poor schmuck, every time he opens up and takes a chance, he endangers the ones he cares for (and often the danger is Barry himself, who is not above killing anyone he thinks will get him caught). The killing is done video-game-style, beyond over-the-top, with blood spurting everywhere and close-ups of the forensic team picking up bits of skull and brains, etc. The discomfort is the comic point, but it’s so overdone it gets to be exhausting. There’s a nice Elmore-Leonard-esque vibe to the repartee, but there’s also only one note to most of it—and seemingly only two emotions that Hader allows himself to play: befuddlement and irritation. Barry is supremely streetwise one moment, but an utter naïf the next, whichever is convenient for the story. The show seems to buy into the self-improvement and New Age rhetoric of the acting class. There isn’t a hint that any of the characters has a single genuine spiritual value. The problem is that the writers seem to have no hint of this either. The story becomes a search for the difference between Barry as irritated murderer and Barry as apprentice actor—but, funnily enough, it turns out there isn’t any. It’s a puerile point, barely rising to satire, and repeatedly made; also obviously not true upon adult reflection. With Hader’s Barry emotionally muted to the point of being insensate, the spotlight is stolen by excellent performances from a dream cast. Henry Winkler is seamless in the role of egotistical and smarmy (but also gifted and insightful) acting coach Gene Cousineau. Even so, it can be hard during Winkler’s scenes for those of us of a certain age to engage our suspension of disbelief and not keep thinking, “Hey, don’t those guys realize their acting coach is the Fonz? Stupid millennials!” As someone who married a veteran of the New York acting scene, I’ve seen the world of acting classes, and, believe me, Winkler and the actors playing actors in his class nail it. By far the best turn on the show is by the remarkable Anthony Carrigan, playing Chechen gangster second-in-command Noho Hank. Carrigan suffers from an autoimmune deficiency in real life that makes him utterly hairless, even eyebrow-less. In “Barry,” he wears tight polo shirts over his wiry, tattooed frame, accenting his almost powder-white skin. If you met the Angel of Death sipping on a Pina Colada at a Brighton Beach disco, this would be what he’d look like. Carrigan’s performance is stupendous. He depicts Hank as a bundle of twitches and mannerisms that act as calibrated smart missiles of hilarious weirdness. Even Carrigan’s sympathetic shrugs are funny, engaging, and quite frightening. The show also makes fun of cops, Chechen gangsters, and wannabe actors fairly mercilessly. Among these, the fledgling actors get nuanced, sympathetic, near-realistic treatment of their hopes, dreams, and foibles. In fact, one might say that the world of acting is the only thing in the show that the writers actually know anything about. Veterans, on the other hand—all former Marines here—are presented as either crazy killers or post-traumatic stress disorder-afflicted basketcases. The psycho American vet is a long-running Hollywood stereotype that goes back to a spate of post-war 1970s movies. Winkler himself notably played one in the cringe-inducing “Heroes” (1977), his first film coming off his “Happy Days” success. The cops and gangsters get sympathetic moments, but the vets are unrelentingly ridiculed and presented as damaged goods. There are a few nice moments other than the acting class that pull back the satirical curtain to reveal the real world and let a bit of clarity in. In the final episode, Janice Moss, a homicide detective played by Paula Newsome, does not let the cloud of self-help jargon Barry has taken to spewing distract her from the fact that, whatever her personal feelings, she is a cop in the service of justice and those she hunts are murderous killers who need to go to jail. Yet these moments of lucidity in the psychological murkiness come off more as tired platitudes than ultimate truths. Then the atmosphere of faux-bleakness slams back down. There’s really only one point, comic or philosophical, to “Barry”: modern life is so morally vacuous it’s difficult to judge the difference between regular people and cold-blooded killers. This facile point is hammered over and over in eight 22-minute slices. And that’s enough. There really don’t need to be any more “Barry” episodes. But hey, I do have this great idea about a TV critic who is also a hit man. Nobody’s done that one before, guaranteed!